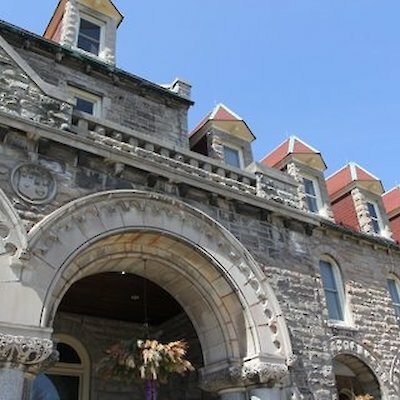 In the 1960’s as a Niagara Falls Tour Guide one of my most popular stops was at Mount Carmel Monastery atop the Niagara Escarpment a few kilometres behind the falls. Today, not as many people visit this lovely chapel and that’s too bad. The monastery is still open to the public free of charge most days of the week to people of all faiths. The present monastery was built between1894-97 and has for the past 30 years operated as a spiritual retreat. 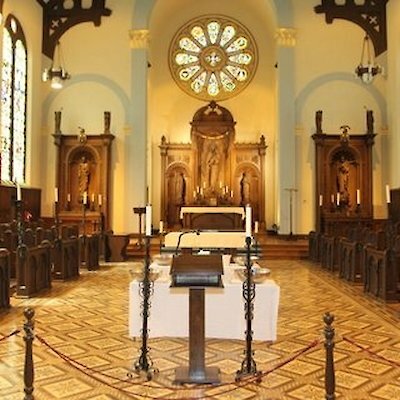 Originally the novice served as a novitiate for young men to prepare them for ordination as priests. The friars also operated a 205 acre farm and dairy to support themselves. Today part of this acreage is being used to grow grapes to be made into wine. I’ve taken a few photos of the outside of the building and the lovely chapel for you to look at.